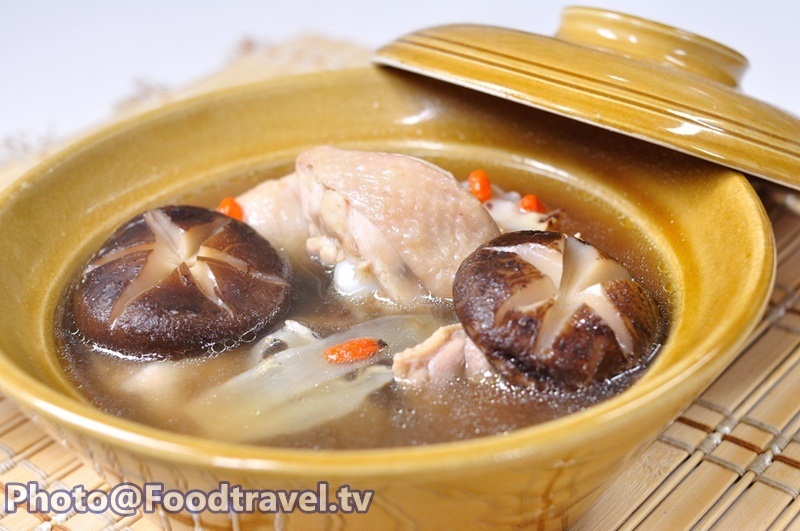 Chinese Herb Chicken Soup - A delicious healthy menu that not difficult to make. 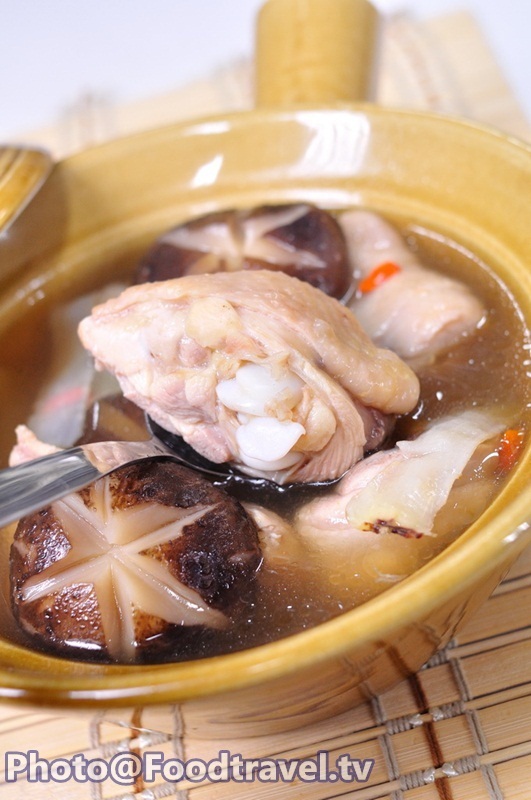 Boil chicken with Chinese herbs, then fried with dried mushroom and stew until herbs absorbed to the meat well. Hot Chinese herb chicken soup is really perfect. 1. Cut off mushroom stalks. Then slits in three points. 2. Chop chicken into pieces. 3. Boiling water, and then add chicken, Chinese herbs, mushrooms, and water from soaking mushrooms down. Stew with low heat for 1 hour. 4. Season with pepper, salt, soya sauce. Stir and you’re done.